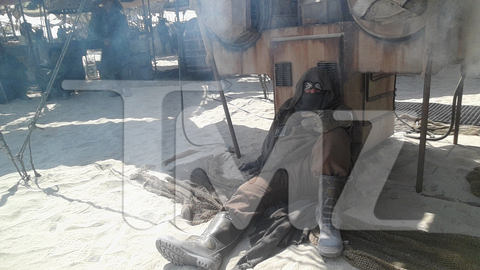 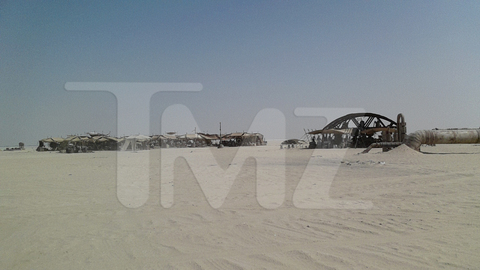 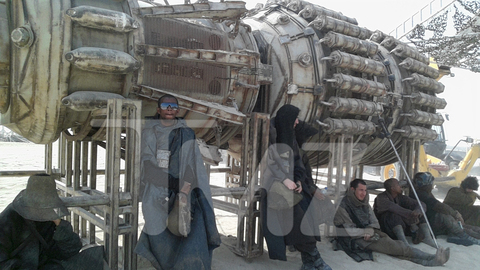 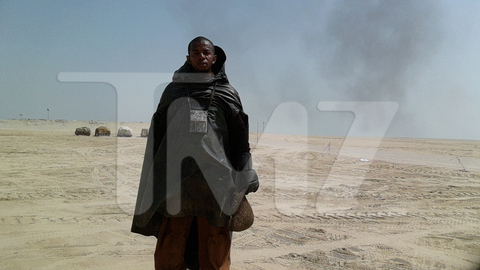 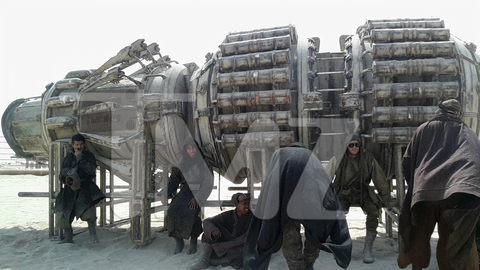 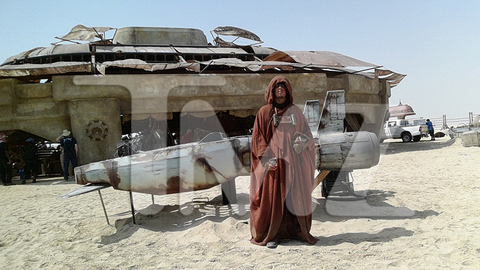 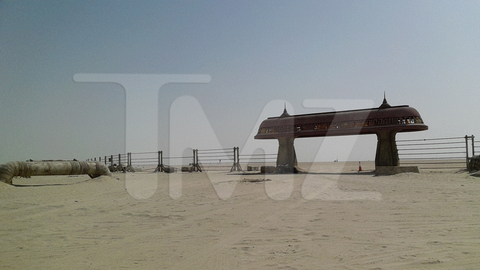 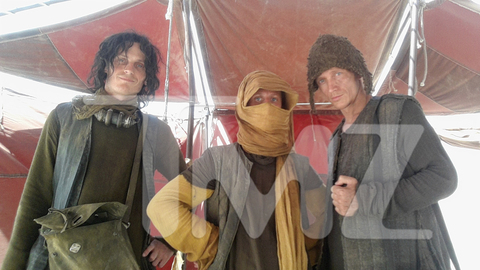 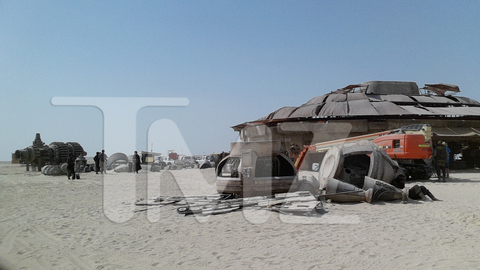 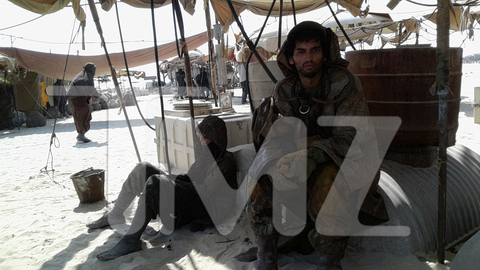 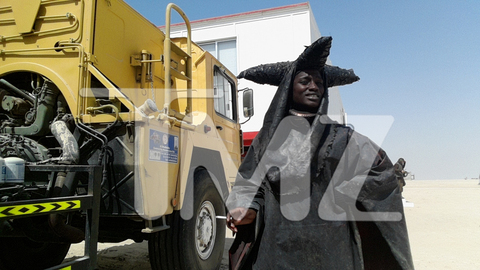 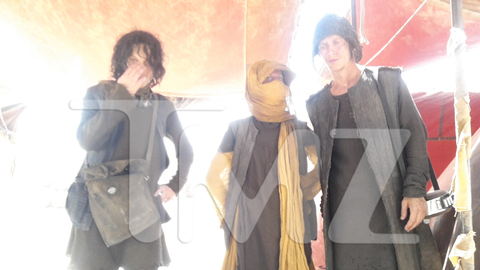 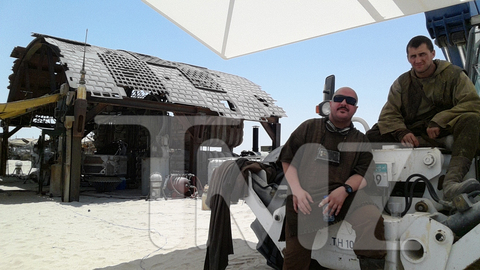 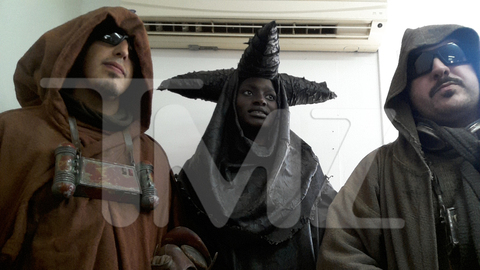 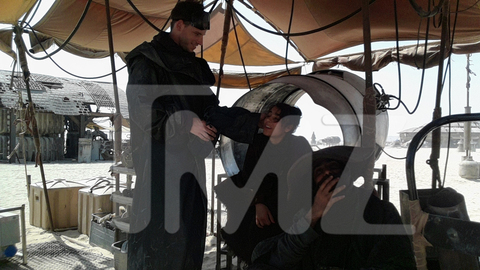 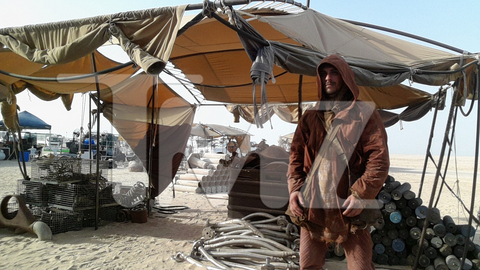 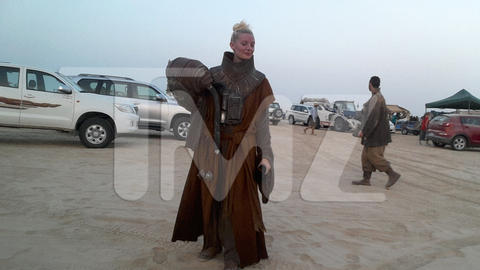 Star Wars Episode VII Leaked Set Pictures Show New Creature, Tatooine? 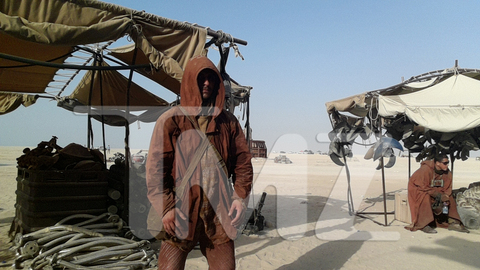 The leaked Star Wars Episode VII show a very Tatooine-style desert. 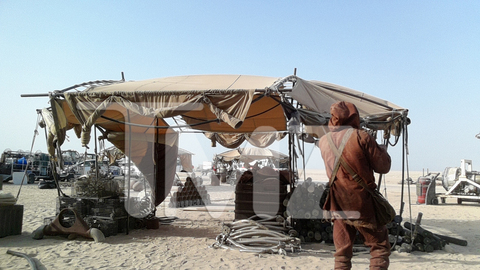 Star Wars Episode VII began filming last month, and in this day and age, it was only a matter of time before someone leaked some photos from the set. 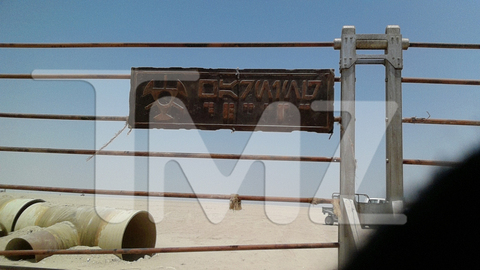 TMZ has acquired a series of photos that show off a massive new creature and what looks very much like Tatooine, giving credit to earlier rumors that the movie would return to the desert planet. 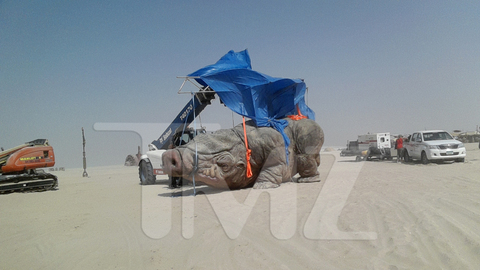 TMZ's sources report that the new giant alien thing was manned by 5 men inside its belly ... and was used in two scenes taking place in what looks like a Tatooine marketplace. 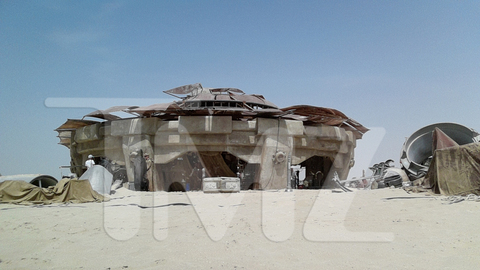 The fact that this is an actual physical thing that someone built gives credibility to reports that the producers intend to use a whole lot less CGI this time around.